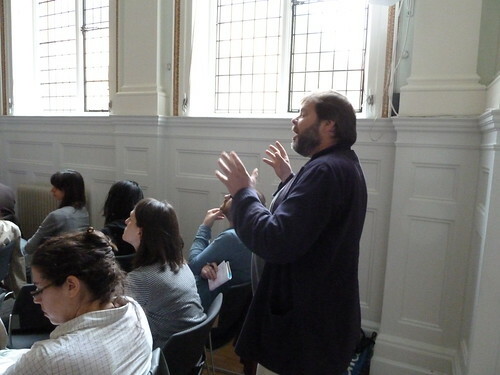 The large number of delegates at St Bride Library, the quality of the speakers and the presence of so many active and pre-eminent professionals and academics in the field from the UK, Europe and the USA spoke for the extent of the interest in the subject. 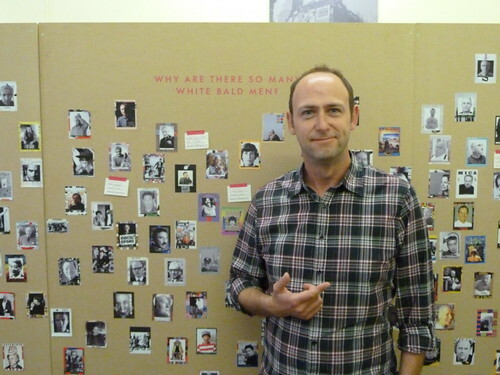 Below: Conference attendee John Hudson, Lecturer in Graphic Design, Staffordshire University, pictured in front of part of a pictorial timeline assembled by Fabienne Hess and Livia Lima, first-year MA candidates at the Royal College of Art, London. 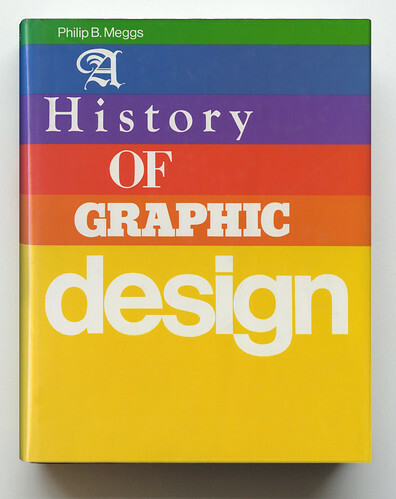 So how do you write about the history of graphic design? In one way or another histories by historiographers, participants, practitioners, custodians of the canon, curators, heroes of design, and those obscured by the larger forces of events were all explored. Simultaneously, claims for its potential in the development of the profession were accompanied by the hope for greater public understanding. 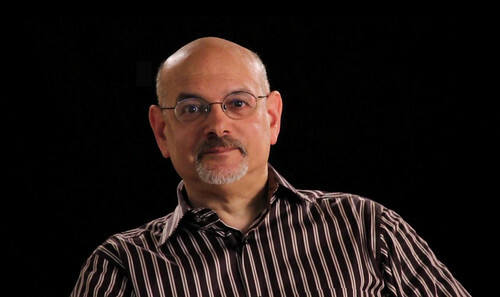 Speaking via prerecorded video (above), Steven Heller’s personal story and early dalliance in the graphic undergrowth of the alternative culture of the 1960s hinted at the need, as David Crowley maintained throughout the day, for a rigorous, critical and engaged history. Catherine de Smet’s historiographical analysis of the history of design re-visited its origins in art history as a challenge to the tyrannies of the cult of personality and the classification of style. David Reinfurt’s account of mathematical typography took us to levels of scientific proficiency rarely encountered by graphic historians. Christopher Burke demonstrated how his monographic approach challenged the self-mythologised designer. 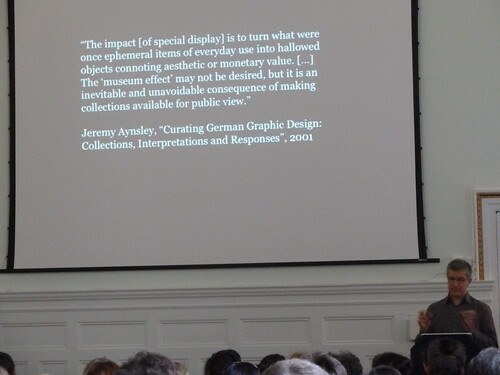 Rick Poynor (above) interrogated curatorial practice, as a three-dimensional spatial interpretation ‘layered like a magazine spread,’ and defended the ‘white cube’ and easily graspable narrative as a necessities in communicating graphic design to a wider public. Sonia de Puineuf urged a cross-disciplinary approach within history of design to embrace lesser know figures in the West such as the Bauhaus-trained architect and designer Zdenek Rossmann. Alston W. Purvis then took us through the vagaries, vicissitudes and joys of producing the fifth and probably final edition of Meggs’ History of Graphic Design. Overall the day exposed important issues for writing and graphic design. 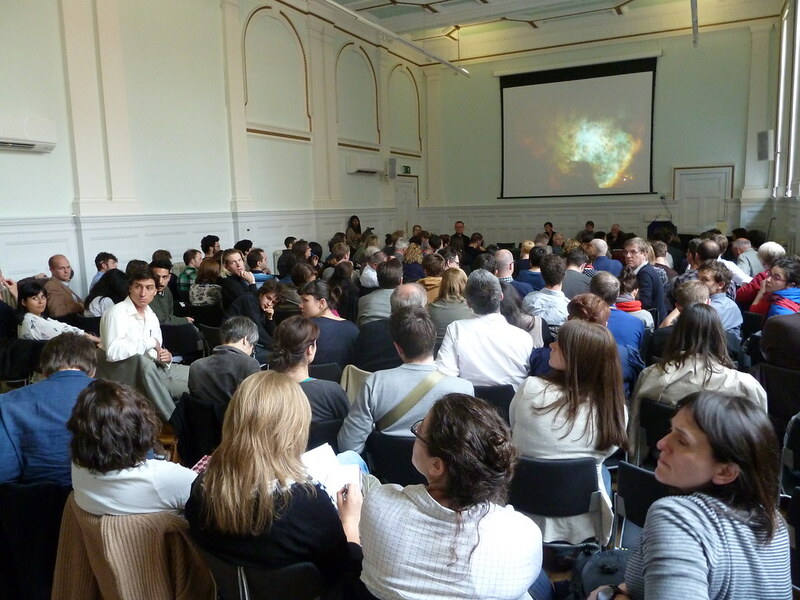 Explicitly, the conference addressed questions of western eurocentrism, audiences, authenticity, value and ethics. Implicitly it hinted at a field not always well understood by its inhabitants and a widely felt sense of unease with the existing state of what may or may not be the independent discipline of the history of graphic design. Above: Eye art director Simon Esterson makes an observation from the floor. There will be a full review of the conference in Eye 80, Summer 2011.